Okay, I'll be honest here. If there is one thing that stops me from reaching my fitness goals, it is actually my diet. My major weakness is carbohydrates and a lot of it. I love kakanin and breads. It is hard for me to eat lunch or dinner without rice. Most of all, I used to munch on carbohydrates alone during snack time. I would go for 2 slices of bread with peanut butter in the morning, ginataang bilo-bilo in the afternoon and maybe some chips before bedtime, then I'll end up bloating. Abs are made in the kitchen, they say, but how true is that? Well, I do not know 'cos I am still trying to prove that to myself. I have no flat tummy nor defined abs to flaunt, although I can say that my waistline and lower belly has gotten smaller already after a year of consistently going to the gym. It's true that losing weight is 80% diet and only 20% exercise. I testify on that. Truly, what you put in your mouth plays a major role in weight management. So here I am again, writing about diet and meal prep as reference on my road to achieving my fitness goals. 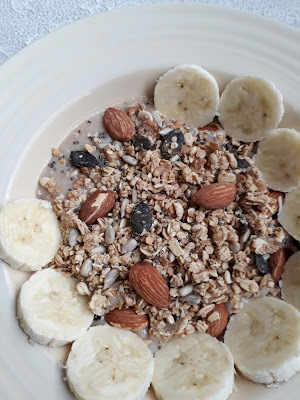 Above is an ideal breakfast for me consisting of oat bran with skim milk topped with sliced banana, almonds, sunflower and chia seeds, dried prunes, and granola. Part of my routine is to prepare a weekly menu and base my grocery on it. I basically cannot make a shopping list without finishing my menu first. Additional to the regular weekly menu, I am now working on a separate breakfast and snack menu. Sounds a little crazy but I am doing this to avoid eating just about anything and end up carbo-loading in every meal. This is one of my afternoon snacks last week.. cheese and egg sandwich. When I was a kid, I would get a very bad allergic reaction when eating chicken and egg. It all started when I was in grade 4 then came major flare ups when I was in grade 5, 1st year and then again 3rd year high school. I would be absent from school for days, my feet all wounded with nasty pus, my lymph nodes swollen, folds in my legs and arms super dry and itchy; even my face red and flaky. After finally finding an effective steroidal cream and getting rid of my flares, I decided to completely abstain from poultry products. Thanks God I didn't see my allergies that bad again and I was able to eat chicken and eggs after 3 years. 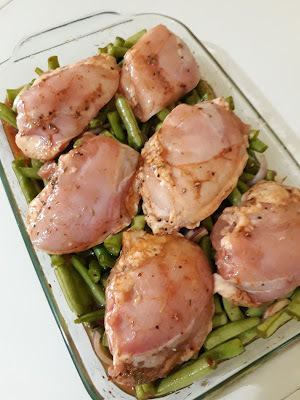 A menu from 2 weeks ago: skinless herbed chicken in a bed of beans. This is very easy to prepare. Just marinate your chicken in a little salt, freshly ground black pepper, paprika, cracked red pepper, oregano and thyme. After 30 minutes marination, arrange the vegetable/s in the bottom of the tray, top it with the chicken, drizzle some olive oil and bake from 25 to 30 minutes. 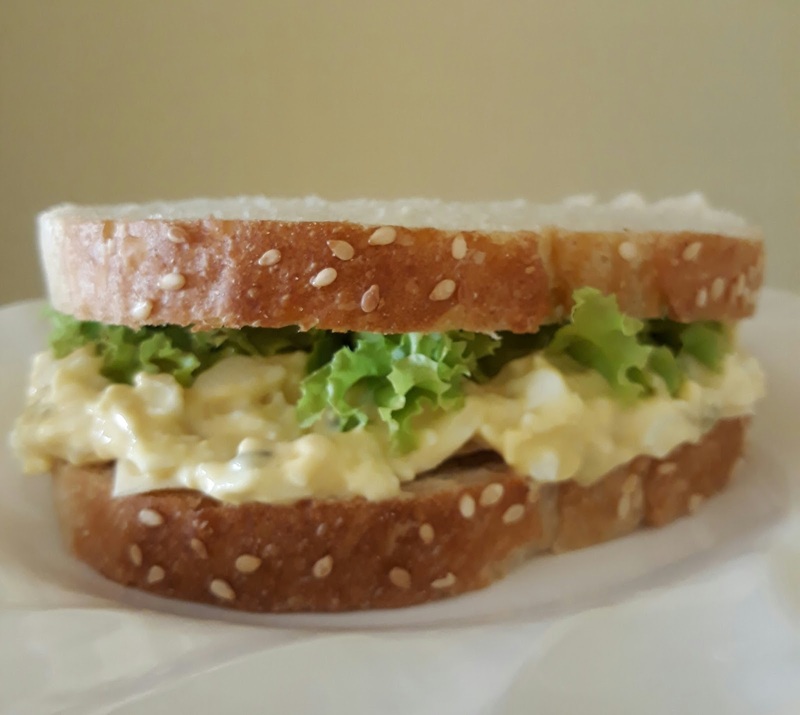 If there is an important lesson to take note that I think I have not written yet in this blog is to eat balanced diet in every major meal, breakfast, lunch and dinner. 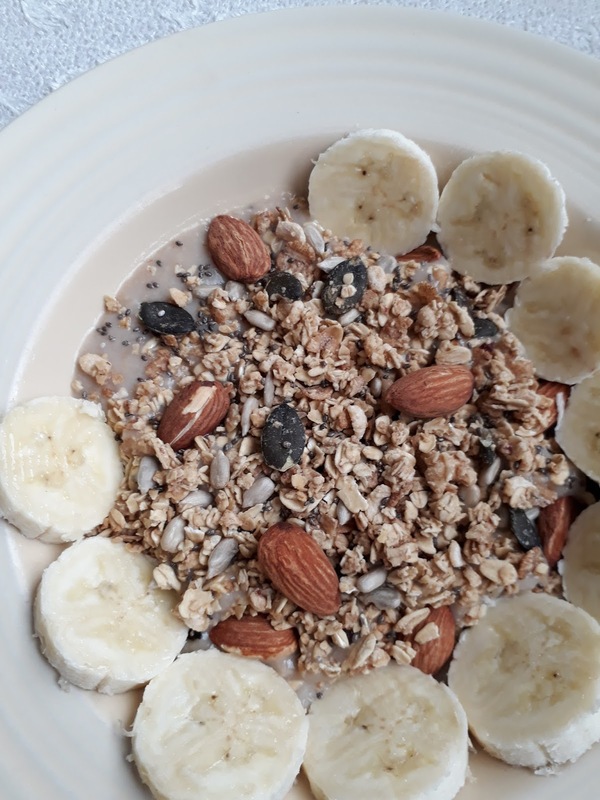 And if you are weight lifting and want to gain some muscles, make sure that protein is present not only in your big meals but in smaller meals, meaning morning and afternoon snacks as well (thanks Coach Miguel). If you can, focus on targeting your macros and not just your total calorie intake for the whole day. Macro counting is hard work, I know. I still can't get the hang of it. Anyway, there is this beautiful young lady I'm following in IG that inspires me a lot. Her name is Katie Crewe, a fitness coach and social media sensation. Like her, I am into a flexible diet regimen. I give in to my cravings from time to time and I do not have a lot of restrictions. I eat at buffet or eat-all-you-can restaurants once in a while, indulge into some Korean bingsu or froyo maybe once or twice a month, also get unlimited rice and fatty dishes; all of these fall into my weekend cheat days. Take note though that I seldom drink soda or juices and I already stopped using table sugar earlier this year. If I were to sweeten something, I use either coco sugar, raw honey or dried fruits. And I am a big fan of fish, seafood and vegetables. Monday to Friday, I eat mostly boiled and steamed dishes with lots of local vegetables. Finally, a no bake eggless birthday cake!